Cockroaches, crickets and caterpillars can do more than make your skin crawl. They just might be a tasty and nutritious addition to your next meal. Pataranutaporn, a sophomore with ASU's School of Life Sciences, and his research team of high school friends from Thailand won second place for their invention in the 2015 Biomimicry Global Design Challenge. The device provides people with an easy way to catch nutrient-rich insects. The competition asked scientists from around the world to address critical sustainability issues using the principles of biomimicry — designing products inspired by nature. Pataranutaporn and his team were given $7,500 and six months to complete the next part of their proposal. “Research suggests that insects will be the protein of the future,” Pataranutaporn said. “They have a very high protein content, and they’re a sustainable food source because their populations often exceed an ecosystem’s need for them. But how will Pataranutaporn and his team encourage people to eat bugs? According to a recent report by the Food and Agriculture Organization of the United Nations, insects already form part of the diets of some 2 billion people. To help those who aren’t already munching on caterpillars, the second part of Pataranutaporn’s proposal involves creating an educational program to teach people how to prepare insects in a tasty way. The nutritional facts are convincing. Pataranutaporn’s team found that beef contains 52 percent protein and 48 percent fat. Meanwhile, a grasshopper contains 72 percent protein, 16 percent fat and 12 percent carbohydrates. In addition, it takes far fewer resources to catch insects than to raise livestock. Having found a sustainable and nutritious food source, the team searched for a way to help the average person catch enough insects to provide nourishment. They looked toward some of nature’s most efficient insect catchers: carnivorous plants. One in particular, the Lobster-pot, uses inward-pointing hairs that make it easy for insects to enter a chamber, but impossible to leave. Pataranutaporn’s team came up with “Jube” — a device that uses hairs similar to a Lobster-pot’s in a sack filled with insect food. Insects are lured in, become trapped and can be harvested later for consumption. According to Pataranutaporn, the device is easily made from local materials, and the educational program from their proposal’s next step will include instructions for making a "Jube" at home. Pataranutaporn said he wasn’t expecting to place in the competition considering his team was up against graduate students and seasoned scientists. The next step is preparing for a presentation the team must give at the Biomimicry Institute’s biennial meeting. There, they will be competing against other proposals for $100,000 of additional funding. The Jube mimics the Lobster-pot plant, which lures insects into itself and traps them there with specialized hairs. By teaching others to make and use the Jube, Pat Pataranutaporn hopes to encourage people to get nournishment from insects. 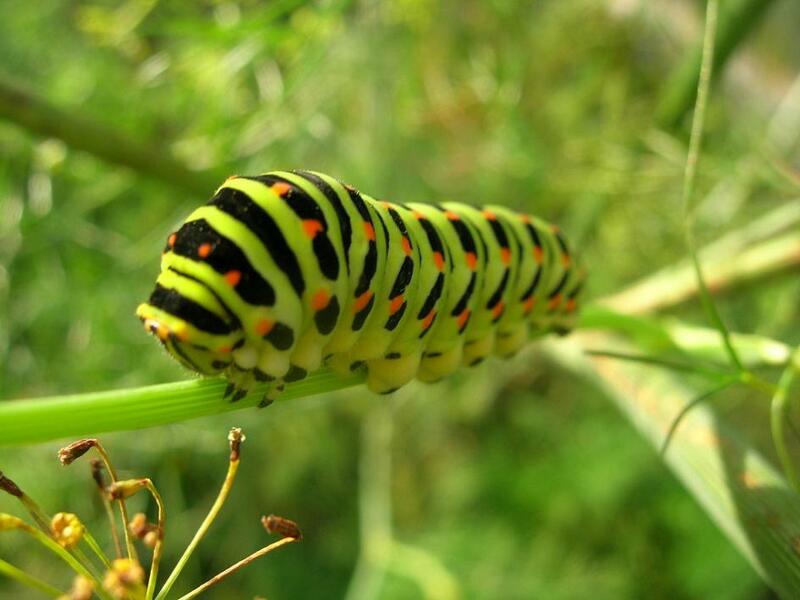 Caterpillars are just one of many edible bugs. Others include crickets, beetles and grasshoppers. When compared to livestock, insects provide more nutrients and less fat. Pataranutaporn and his research team believe that eating more insects can contribute to eliminating malnourishment around the world. Pat Pataranutaporn at the South by Southwest Eco Conference. Pataranutaporn and his team were invited to attend and give a presentation on their biomimicry proposal as a part of winning second place in the global competition. Ebola and immigrants and gays! Oh my! The conference was conceived of by associate professor of women and gender studies Breanne Fahs, who wanted to get people thinking about the concept of contagion and the many ways it infiltrates our lives — from viruses to ideas that spread through social media. “Contagion is this very diversely imagined thing, but we’re really trying to focus on the connection between the dangers of contagion and the possibilities of it,” said Fahs, who teaches in the New College of Interdisciplinary Arts and Sciences. The effect is powerful, but that power can swing either way. For example, contagion can be dangerous when it facilitates such things as xenophobia or homophobia, but it can also be a revolutionary force when it engenders things like viral social-justice movements. Fahs will be giving a talk that looks at the female menstrual cycle as a form of contagion due to the phenomenon of menstrual synchrony among groups of women. A book, tentatively titled “Transforming Contagion: Anxieties, Modalities, Possibilities,” is already planned based on the conference, with participants contributing chapters based on the papers they will present. Transforming Contagion: A Boundary-Smashing Symposium will run from 9 a.m. to 6:30 p.m. Friday, Oct. 23, in the University Center Building, La Sala Ballroom, at ASU’s West campus. The event is free and open to the public. Click here to RSVP. To learn more, visit the conference website here. This event is sponsored by the Center for Critical Inquiry and Cultural Studies; The Jenny Norton Research Cluster Award at Institute for Humanities Research; the School for Humanities, Arts, and Cultural Studies; and the School of Social and Behavioral Sciences. Read on for a more in-depth look at contagion and the stigma and possibilities that surround it, as articulated by Fahs. Question: What is at the root of people’s fear of contagion? Answer: Contagion inspires both danger and excitement, sometimes simultaneously. We fear contagion, but we also recognize it as an intuitive force of revolution, social change and connection between people. 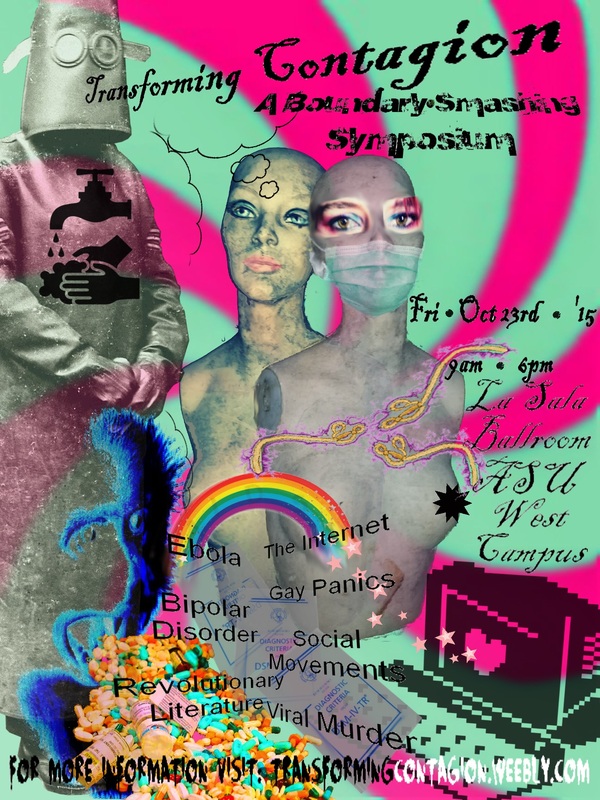 This conference is seeking to explore and better understand these tensions, and to move discourses of public health into conversation with other related areas like literature, politics, the body, feminism, social media and the impulses to "go viral" (both in a technological sense and a human sense). Q: How will you be applying your areas of scholarly interest to the subjects to be discussed at the conference? A: I'm a scholar that studies bodies, sexualities and the history of radical feminism; these themes are all represented at this conference, just as the other organizers' themes are also represented. Annika Mann is an English professor who studies contagion, Eric Swank is a social and cultural analysis professor who studies social movements and LGBT activism, and Sarah Stage is a women and gender studies/history professor who studies the women's movement and key figures of women's history who have gotten lost in the dustbin of history. Q: How will this conference address how the notion of contagion has persisted and changed throughout time? A: Contagion has deep historical roots, particularly as people have made sense of why people get sick, how emotions might “catch fire” and inspire others to overthrow governments, and how bodies and technologies communicate with one another. This conference showcases numerous papers that trace the historical roots of contagion and its impact throughout history, again playing on the tensions between danger and revolution. We are interested in thinking about modes of spread, quarantines and theories of contagion, all of which help us to imagine the way that ideas, people, institutions, germs, etc. move about and (dis)locate us in our historical contexts. Q: How do you hope to change how people think and feel about contagion? A: Interdisciplinarity is inherently transformative, so this conference is an example of what happens when you put into conversation and dialogue people and disciplines and locations that are not typically in conversation. Magical things happen when scholars come together to address difficult and complex ideas in an interdisciplinary way, and New College has long supported such endeavors. We want to remove the boundaries between the humanities, social sciences and natural sciences, just as we merge people with very different assumptions about contagion together into one scholarly space. We also want people to leave the day recognizing the amazing contributions that undergraduates, graduate students, faculty and independent scholars can make to thinking about contagion; the conference features panels that unite brand-new scholars doing their first paper with those who are at the top of their fields, and who define and demarcate the nature of their fields. This is absolutely thrilling to me! We hope that people who attend will leave the day imagining new ways of seeing canonical texts, Mexican film, gay panics, viruses, menstruating women, phallic imagery, cookbooks, 19th-century murders, xenophobia and a host of other subjects represented at the conference; contagion impacts everyone's lives, not only in the day-to-day sense, but in the stories we tell ourselves about our bodies and our histories.